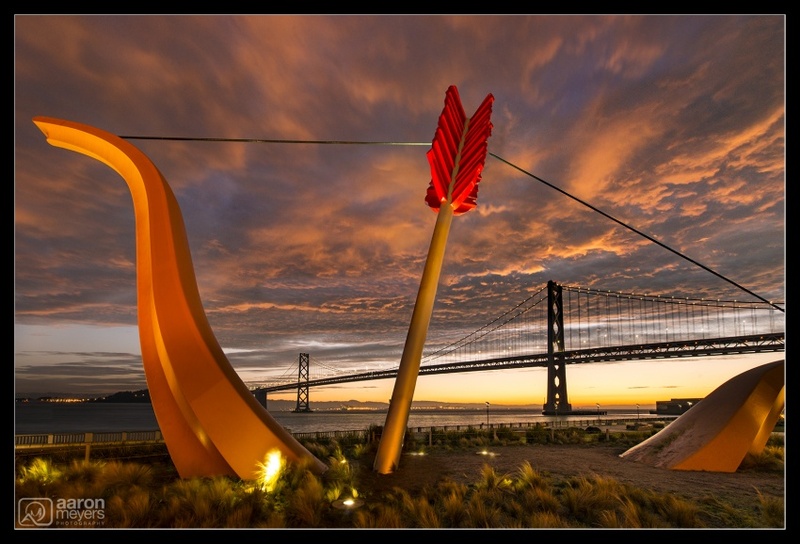 There’s a beautiful park that sits just under the Bay Bridge: Rincon Park. Photographers flock here to shoot the pylons along the water but often they walk right by the giant stature of the Bow and Arrow. Wanting to do something a little more unique, I stepped back from the pylons and threw on my super wide angle lens and did my best to capture the giant sculpture and the sky exploded in front of me. Properly warping this back so it didn’t have the typical super-wide distortion was super fun. Yay! Next Post Horsetail Falls, October 2017 Possibility!